I am a serious fan of s’mores! To be honest, I’m not a huge marshmallow fan. But there’s just something about a charred marshmallow combined with chocolate and graham crackers. (It has to be completely charred for me. I purposely light that marshmallow on fire.) Did you know that today is National S’mores Day? If you don’t have a campfire handy, be sure to make a s’more for yourself in a microwave. 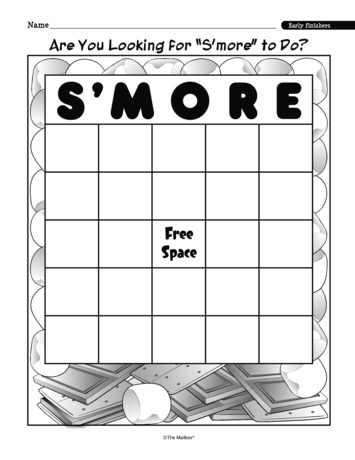 To spotlight National S’mores Day, here’s a neat activity for early finishers—because some youngsters just need “s’more” activities! Preheat oven to 350 degrees. Place graham crackers in a Ziploc bag, finely crush with a rolling pin. Combine graham crackers, powdered sugar, and butter in a bowl. Place a spoonful of the mixture in a mini-muffin pan. Press crumb mixture into the shallow cups forming a ‘cup.’ Bake 4 to 5 minutes. Meanwhile, break 2 of the candy bars into rectangles. Remove graham cracker cups from oven, place 1 rectangle of chocolate into each cup. Cut marshmallows in half with scissors. Place one half marshmallow (upside down) into each cup. Return to oven 1-2 minutes. Remove from oven and let cool 15 minutes. Carefully remove cups from pan. Cool completely. Break remaining candy bar into a microwave safe dish and melt in the microwave on high 1 to 1 ½ minutes or until smooth, stirring about every 20 second. Dip the top of the each prepared graham cracker cup with marshmallow (remember these are cooled completely) into the melted chocolate. Turn top side up and let stand 40 minutes to 1 hour or until set. Thanks for the recipe! I want to try it. Thanks for the recipe. I don’t think I’ve made s’mores since college! 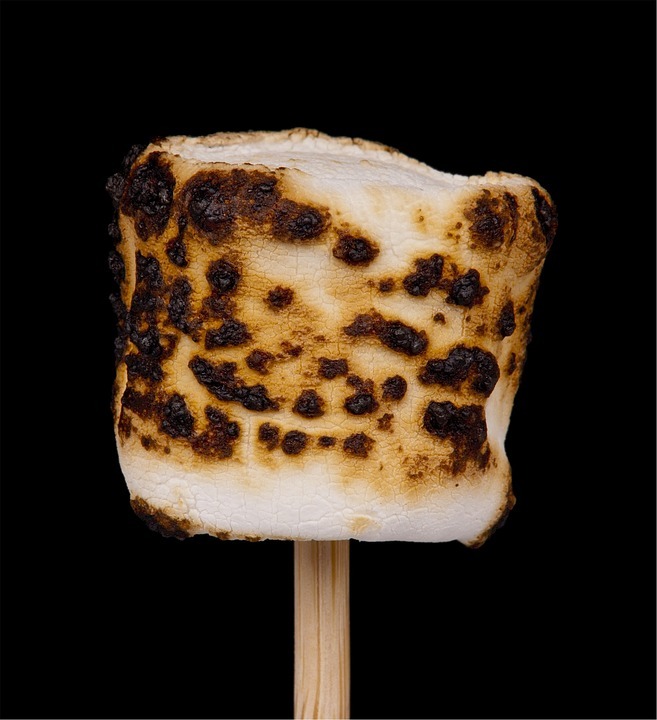 When you torch a marshmallow, the char that is formed is a carcinogen! PLEASE don’t burn your marshmallows!